In today’s tech driven world, introducing children to technology early in their development better prepares them for success in a rapidly changing environment. However, while early exposure is important, simultaneously teaching healthy technology use habits should be every parent’s top priority. Here at Launch, we grappled with this question and asked our teachers for the best tips on striking a balance between technology use, family time, and other important skills young learners need to develop. Though there are real negative effects when children get too much screen time, proper use of technology tools can bolster students’ literacy, mathematics, critical thinking, and reasoning skills. Computers, phones, tablets, and consoles offer many tools and resources for learning and development. It is important to set reasonable limits for the time your child spends playing games or consuming social media. Use to the right technological tools to turn screen time into an opportunity for growth. Encourage your kids to try educational apps, games, and websites by not restricting those resources. Talk with your child about balancing consumption with creative outlets like coding, design, and educational games. There are many apps and games that are designed with the learning and childhood development in mind. There are a plethora of games and apps out there that turn learning and skills development into a fun challenge! – they can be incredibly beneficial for your child to explore! The massively popular game Minecraft can be adapted to teach coding or practice math. MIT App Inventor is a great resource to explore mobile app development for kids. Check out these free resources to help your kids learn through play. MIT App Inventor brings the fun of app development to life! Code.org has turned learning Computational thinking into a series of programming games,using themes such as frozen, celebrities like Steph Curry, and fun puzzles, videos, and problems. Sphero Edu has tons of games and challenges to do with your Sphero robot. Makey Makey is a neat tool that allows beginners to harness the power of an Arduino micro-computer. Play games and connect to the real world using embedded computing! Interland, a 3-D gaming environment from Google, teaches kid about technological literacy. PBS Novalabs teaches kids about cybersecurity using interactive games and coding. Social media is ubiquitous and often essential to modern life. But it’s important to encourage your children to seek out other sources of news and information like email, forums, and news aggregators. Teaching kids the skills to be media savvy is an important skill to have. Discerning between real news and information on the internet is part of the learning journey at Launch. Growing up online can make it easy to believe everything you find there. Discuss skills like checking the source of information and analyzing the purpose of a message. Talk about what types of sources can be reliable, and when to be skeptical of what you find online. One of the most important steps in becoming part of a generation of productive users and makers is going beyond the consumption of new technologies to learning how to participate in their development! Learning about things like the Software Design Process, and how to iterate and test your ideas is an important part of developing programming skills. 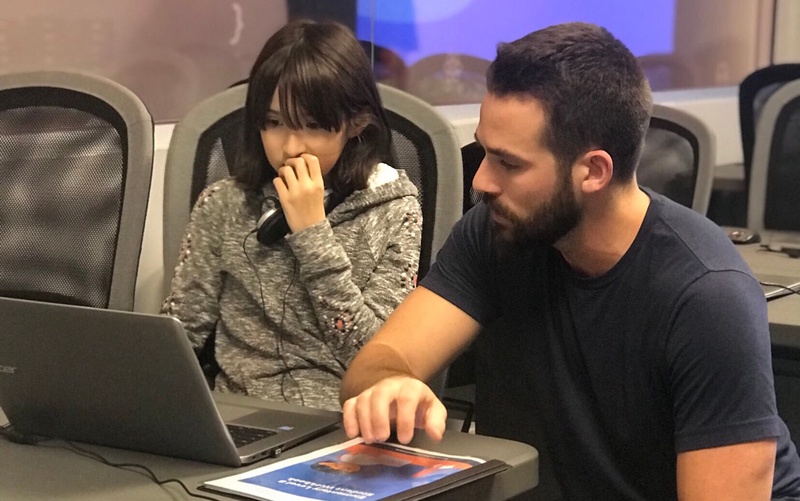 Here at Launch Code After School, our classes emphasize applicable engineering skills that propel children to the top of a generation of creators, compared to alternatives which might only offer fun, but shallow technological experiences. Next PostHOW MUCH DOES A PERSONAL TRAINER COST IN CLAPHAM, SOUTH WEST LONDON, UK?